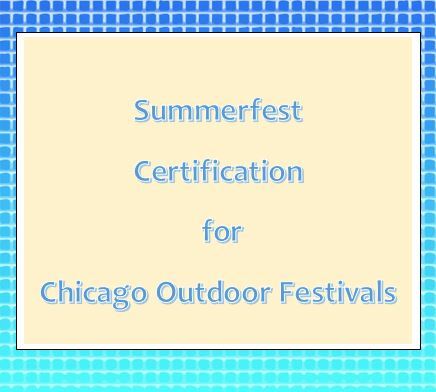 The City of Chicago requires this certification for a Special Event Food License to host a food booth. Food booths operate at neighborhood festivals, special events or temporary food service events in Chicago. A Summer Festival Food Vendor Certificate is valid for one year. This training can be included as part of a private food handler certification; or food service sanitation manager certificate licensing course. For a separate private course for larger groups, please call us at (773) 401-3244 to arrange a class date.